The most exciting product? 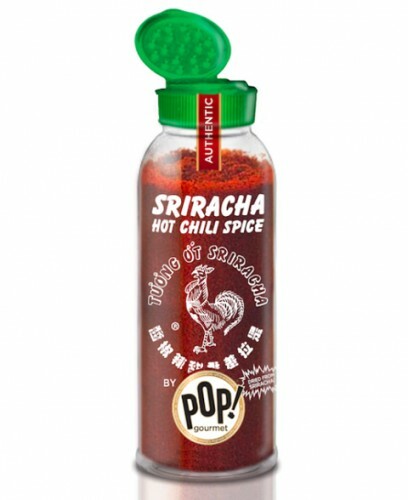 Huy Fong Sriracha in powdered form, which we plan to put on everything from chicken to French fries. Seattle-based company Pop! Gourmet Foods has partnered with Huy Fong Foods—the makers of Sriracha—to launch a line of Sriracha-infused snacks. Yahoo! Food reports there’s Huy Fong Sriracha popcorn ($3.99), which is already in stores. On April 8, Sriracha potato chips ($3.99) will hit shelves. In the coming months, you’ll see croutons, tortilla chips, hummus, and more—all infused with Sriracha.